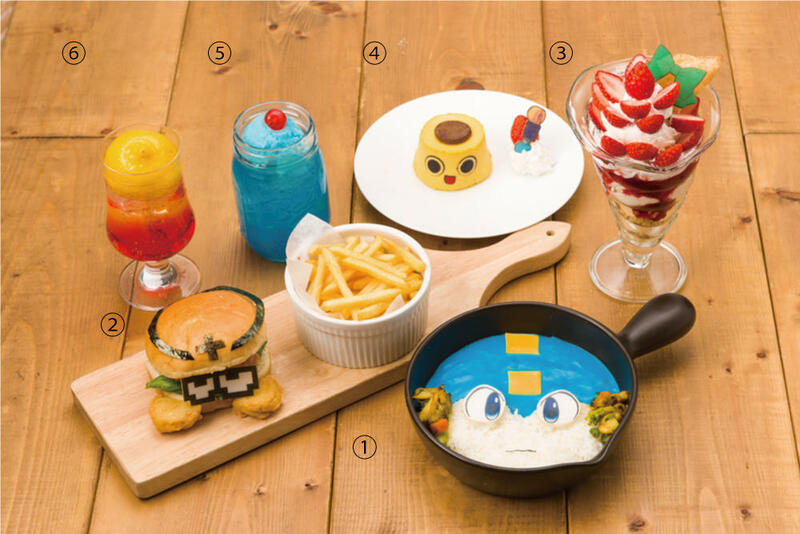 1- Rockman Curry (1,380 yen) - A slew of seafood makes up Rockman's face. It's available in three color variants: Rockman (blue), Rush (red) and Leaf Shield (green). 2- Met Burger (1,380 yen) - It's literal a Met burger. Served with shrimp (the feet), soup and fries. 3- Roll Parfait (1,100 yen) - Filled with plenty of strawberries and topped off with a slice of pie (the ponytail). 4- Kobun cheesecake (900 yen) - 'nuff said. 5- Rock Buster cocktail (800 yen) - a mix of curacao, pineapple syrup and blue ice. It's soda, non-alcoholic! 6- Roll cocktail (800 yen) - non-alcoholic cocktail; served as soda mixed with grenadine syrup and apple mango vinegar! 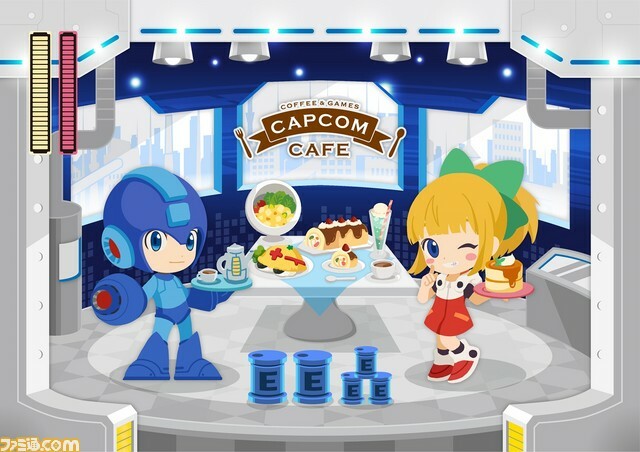 Everyone who buys food and/or drink at the Capcom Cafe will recieve a Rockman and Roll place-mat and one of ten random coasters! Aren't they cute? Again, the Rockman menu begins on February 22nd. Drop on by if you're in town! Is that supposed to be "receive?" No gonna lie that burger and nuggets is hilarious, that said not sure I'd want to eat RM.EXE's face out of a bowl. That little slice of pie with the green bow is adorable. That parfait really looks delightful, though. The Met Burger looks great, too! 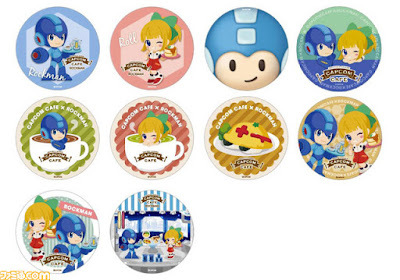 And, of course, those coaster are just perfection, in their cuteness! Man, I wish I lived in Japan, sometimes. The X Buster cocktail recipe from Drunken Moogle is better. Yes it's alcoholic, but it's so good. Can confirm that it's good stuff. I'm not a fan of pineapple so I'd have to give this one a miss. Thanks man, glad someone else knows it.